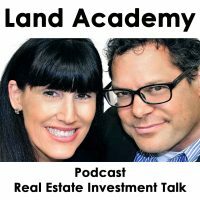 Steven Butala: Today Jill and I talk about how to buy land in bulk using a release. Air quotes, release. It’s one of the greatest things ever. You don’t have to come up with all the cash. You get to pre-sell it. The seller’s happy ’cause he’s getting tons of payments, maybe over a year. I’ll explain it all. Jill DeWit: It’s so darn cool. Steven Butala: 1.2 million bucks I did on a release couple years ago in New Mexico. Jill DeWit: I can’t wait to hear about that. Steven Butala: Before we get into it, though, let’s take a question posted by one of our members on the landacademy.com online community, it’s free. Jill DeWit: Jeff asked, I just priced out my offers and would like to get some input on my approach since I believe pricing’s what led me astray on my first campaign. Steven Butala: It almost always is pricing. Jill DeWit: First, for each county, I looked up all the comps on LandPin, with similar acreage to the properties I’ll be mailing and calculated the price per each. Steven Butala: Okay, stop right there for a second, okay? Steven Butala: Do not use LandPin for comps. 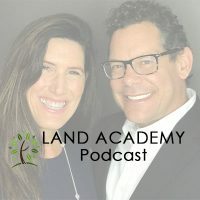 Steven Butala: LandPin is a site that Jill and I own that is free to our members where they post a property, it helps them create a template so they can then go and post the property all over the internet. Jill DeWit: And drive traffic back to their website. Steven Butala: You don’t want to look at our group, because we’re the ones on the planet who are doing it right. Jill DeWit: That’s kinda your competition. Steven Butala: They’re even realtors a lot of them. Their listings and stuff, so that’s a real value. LandPin is cheap, okay? LandPin’s where you could even buy property there for that price. Jill DeWit: Totally, you don’t want to commit and undercut, ’cause you’re right, it’s way too low. Jill DeWit: Listed for the cheapest five to ten properties available. Jill DeWit: Great. Third, I calculated the average and median price per acre prices for one, the properties on LandPin listed as sold, two, the unsold properties on LandPin, and three, the lowest priced properties on LandWatch. Steven Butala: Okay, now you’re pricing, I can tell, is way low. Go ahead. Jill DeWit: My thinking is that the steps above would give me a general idea of what I could expect to sell for. Fourth, I turned to my data, and I price each parcel at about 1/3 to 1/2 of the per acre prices on LandPin and LandWatch. So generally, if I found that on LandPin and LandWatch, prices in the next county were going for an average $500 an acre, I priced my land at about $175 to $250 an acre. Steven Butala: Sounds pretty good. Jill DeWit: Finally, I sorted my data by market value, which is one of the RealQuest data points. The market values for my mailers varied as low as $1000 to as high as $20,000. I adjusted my per acre offers down a bit for properties with low market values and up a bit for properties with higher market values. Does this sound like a good approach to pricing? Does anybody take any other data points into consideration? Would appreciate any input on whether I’m on the right track. I’m just going to add by rolling in the LandPin and LandWatch things and then taking the average of two, that pushed it too low I think, right there. ‘Cause the LandPin’s bringing it down too low. Now, we’re taking another thing in and then cutting it down even lower. I think these numbers are too low. Now having said that, I know people that have done mailers and done them all wrong and priced way too low, realized it, and sent out another wave of mailers, not kidding, with their same name, they didn’t hide from it, sent another wave, priced them a little bit higher and that first one warmed them up and they got a bunch of deals. Steven Butala: Jill, you’re a pricing expert. I mean it. Steven Butala: I don’t even need to even follow-up. Steven Butala: I mean, I’ve spent my life pricing real estate. That’s my career. Steven Butala: And you nailed it. Steven Butala: I could not have answered it better myself. And I just talked to a guy who did this with houses. Steven Butala: Jeff, you’re too low. Okay. $175 an acre, to $250 an acre, that is middle of the desert. I mean, that’s a rock bottom. Back in the day we would buy properties for 150 bucks an acre, but sometimes they’re real desert property. It’s just that those days are over. Even just inflation, since the 90’s and early 2000’s, it’s gonna raise it up higher than that. So you’re really trying to scrape the bottom here. And you’ll probably get a deal. Somebody will sign it, but you’re probably just too low. Jill DeWit: You’re missing a bunch of good stuff. That’s it, you might get something, but you’re missing a lot of the good stuff. Steven Butala: What you’re doing, too, is generating. We haven’t talked about it a lot, for a while on the show, but you’re going to generate some hate, man. You’re going to generate some angry people. There’s always angry people, always, but this is just too low. So unless you’re buying really large acreage properties for 100 or 200 bucks an acre, I’m talking about 640 acres and above. Maybe even thousands of acres for that. Jill DeWit: Instead of using, use LandWatch, use Land and Farm, use LandsofAmerica. Who knows, maybe even see what’s out there on Ebay and other social media places. Steven Butala: Eaglestar.net is a good one. Or TheMLS. Jill DeWit: Go to Zillow, Trulia. Steven Butala: Exactly Jill, or Realtor.com or Redfin. Realtor.com and Redfin, that’s almost real time feed from TheMLS. Those are real good numbers. Redfin’s not everywhere, Realtor is. They’re both really good. Steven Butala: Today’s topic, how to buy land in bulk. Using a release. This is the meat of the show. First of all Jill, I’m going to ask you a couple questions, okay? Steven Butala: Why is it important and good to buy properties in bulk, to buy like 20 properties at a time versus one? Jill DeWit: Why is it important? Steven Butala: Yeah. Why is it good? Jill DeWit: Oh my, where do I start? Rule number one, if it’s in the same county and it’s the same seller, I only have to do one deed and I get to save a whole lot of money on fees. Number two, I can negotiate a better price when I’m buying a bunch of properties from the same guy. Number three, where do you want me to keep going? Steven Butala: Keep going. This is what I want to cover here. Steven Butala: I want you to list all the benefits, then if there are any, all the pros and then if there are any cons. Jill DeWit: I can sit back and be selling for a while. Off of all the juice that I’m getting from this one seller. When I sent out my mailer, I only put one of the addresses on there, I didn’t send 200 mailers to Smith Properties, to hit up Mr. Smith. He got off of one, Mr. Smith told me by the way I have 500. So I got all those other 499 properties without doing a mailer, without having to waste the postage. And I can just sit and buy and sell and buy and sell and have a beautiful relationship. And most of the time, I can call the shots. Hey, I’d love to buy them all can I do 20 this month, 20 next month, whatever it is. I get to set the terms what I can afford. Steven Butala: So that’s a release. Jill DeWit: Exactly. And I can drag this out for a year and make a whole lot of money and Mr. Smith, now he knows it’s just so easy. I mail the check to him, or however he likes me to do it, the same way every month, and it’s all good stuff. Steven Butala: How many times a day do we get this question on LandStay.com? Oh darn, I thought I was going to buy that property and now yesterday it was available and now it’s marked sold, do you have any more? Steven Butala: All the time. So now when you’re buying in bulk, in release, you can say yeah, actually I do. Here’s another big positive thing about buying in a release in one area, or one county. You have to do only one deed. Did you already say that? It’s one deed per release. Cause you’re getting them all recorded at the same time. Steven Butala: Well I’ve never personally done. Let’s just talk about bulk. Steven Butala: And we’ll talk about releases in a minute. Steven Butala: Always better to buy multiple properties at once from one seller. Steven Butala: The other thing is that if you’re going to do a posting, if you’ve done a hundred deals already, you know this. Posting property on the internet is time consuming and it’s not fun. Steven Butala: So now you just have to do one version with 20 different pictures. So you get away with all kinds of stuff here. Jill DeWit: Right, you’re going to know the area like a pro by the way, real fast, like the back of your hand. Steven Butala: Here’s the con, here’s the single bad thing about buying property in bulk, is that it depletes your cash, right? Well not with the release it doesn’t. Steven Butala: So the deal that I did for 1.2 was in a county in New Mexico, and it was from a home builder. And the guy was done, he was retiring. He had tons and tons of property and I didn’t have, I don’t know 180,000 bucks I think is what he wanted for all of it, it was a lot of properties. So I negotiated a release with him. Where I would just buy, we divided it by 12. And I bought whatever it ended up being, 10 or 12 properties every month. And at the end of it, cleared a million bucks, 1.2 million. All I had to do was fund the first requisition, the first release. Because the sales funded the rest. Jill DeWit: Right. And as you get going, by the way, you could do it even faster, because you could buy twice as much the second time, three times as much the third time, four times as much the fifth time, it’ such a great thing. Steven Butala: I’ve never done a release without an escrow agent. Where I’ve done the paperwork myself. That’s another great positive here, when you use an escrow agent instead of closing the till yourself, there’s half the work. Less than half. Jill DeWit: I’ve done the flip side, and I did the work. I don’t know if you remember this guy, I had him buying a handful of properties from us in a similar situation. Well I’ve done two things, one was I’ve done bulk selling 40 properties at once, I love that. Where this person wanted the whole, they were building a winery in the area, it was a family winery and they were trying to capture all the land that they could. You don’t remember this. Steven Butala: I don’t ever pay attention to the sales. Jill DeWit: Okay, well this woman came along and bought every single property we had in one sub division. So it was great, it was like 40 properties on one deed. It was awesome. That was beautiful, like Okay, done, have at it. And like you said, even for me as a seller, she came to me with a lower than I want to go price but it’s staring me in the face, well how can I say no. You know what, you got it. And we sold it and moved on. Steven Butala: We took our own medicine there. Jill DeWit: We did. It’s all good, well I still won. You know we won. Steven Butala: Yeah, yeah, yeah. Steven Butala: I do remember that. Jill DeWit: A chunk at a time, he kept real close track. It was just him and me. Steven Butala: He was like buying us out of our inventory. He’d just say okay, we’re ready. And I’m like okay, he just knew where to wire the money. It was nice too, when you get in these situations, there’s no talking. I look and I see that, yep the money was wired as he said, here comes the deed. Steven Butala: How the heck do you seek this out? Number one, every single time somebody calls you on a mailer, and they say I wanna sell you my property. The second question you ask is, do you have any more. Jill bought property like incredibly valuable infill lots from guys that they didn’t even consider selling, because the property that we were purchasing, and we sent the mailer on, it’s property type was so different than these infill lots that he had in a small town in California that he just didn’t even consider that we would want them. Steven Butala: And of course she negotiates the heck out of it. Jill DeWit: Yeah, he’s like oh, would you be interested in this? So, that’s number one, you do that. Number two, when you pull data, and you’re doing a mailer in any given county, this is for houses too. You’re gonna notice that one guy, one ownership entity or two or possibly three, in that county or the subdivision that you’re in, owns a ton of property. Put that guy aside, send everybody letters, and put that guy aside and maybe skip trace him. If you want to get real serious about this, get his phone number. Or send him a special note. A special letter, that’s outside of the mailer that you sent through Offers 2 Owners, maybe you actually throw a stamp on this letter, with a hand written note in there that says look, I know you own 48 properties in here, I would love to buy them all for 500 bucks each so that’s 48 times 500, lets talk. Or whatever it ends up being, 5000 maybe. Don’t worry about you don’t have enough money, forget that. If it’s a great deal, some people are gonna throw money at you. Incidentally, we’re just about finishing Land crowdfunding, by the way. Steven Butala: It’s a good way to raise money to buy these deals. 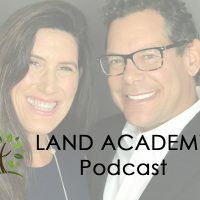 Steven Butala: If you have questions about it, put it on LandInvestors.com and somebody will help you, I know that because Land specifically does lots of release deals. You can make you year on one deal. Jill DeWit: I can do that. Steven Butala: And then when you choose an escrow agent, make sure they’ve done one of these before. That’s gonna take some work. Most of the escrow agents that I know have not done release deals for land. In fact you may even have to go to a one who specializes in commercial real estate. Jill DeWit: I think you can just explain it to them, look, it’s kind of silly but, if you just tell them, here’s the deal, Sally Smith at Smith Escrow, I’m buying 20 at a time. You’ve got the whole list, I just want the first 20, and then I want 21 to 40, and then I want 41 to 60. No seriously, if you tell them that. Steven Butala: I just, you’re giving me nightmares. Jill DeWit: Oh, I could do it. Jill DeWit: Well then lets wrap up this show. Steven Butala: Explaining stuff to escrow agents could be challenging at times. Jill DeWit: You have to do it a very delicate way, that’s true. I know, but sometimes you have to. Steven Butala: You have to do it a delicate way. Steven Butala: Cause I refuse to do it. Steven Butala: Join us tomorrow, well you’ve done it again actually, you’ve spent probably, I don’t know, 15 minutes with us, listening to the Land Academy Show. Join us tomorrow for another interesting episode where we discuss, so you’ve completed 1000 deals, now what? That’s the theme, actually, for next week too. 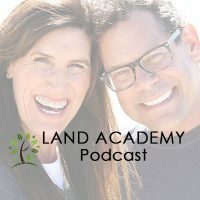 Jill DeWit: And we answer your questions posted on our online community found off of landacademy.com, it’s free. 1000 deals, I can’t even remember that long ago. You know, I just thought of something that I wanted to share real quick, here. It’s a little on top, no it’s off topic. Jill DeWit: It’s off topic, but I want everyone to know. Steven Butala: The further off the better. Jill DeWit: Okay good. I just caught wind, about seven days ago, no not even that. Yeah, about a week ago I caught wind that there’s another group, there’s a group out there that’s stopped handwriting letters, thank goodness. And have caught on with doing mail and using the mail service. That’s the good news, the bad news is they’re spending 80 cents a unit. Steven Butala: We don’t charge enough. Jill DeWit: No, well yeah that could be. Maybe that’s the problem. But anyway, we’re at 58 or 59 cents, I can’t remember what it is. Steven Butala: Price of a stamp-ish. Jill DeWit: Hey everybody, anybody who’s listening, and if you’re spending 80 cents or heaven forbid more, on getting a mailer out, and I mean all end. All this Office Owners does for 58 or 59 cents, you send an Excel file with your data, you send a Word file with your letter, and that’s it. My team does the mail merge for you, you send it back, you approve it, and they put it in the mail. Steven Butala: Do you have to be a member? Jill DeWit: No, that’s non member pricing. Steven Butala: What is the member pricing? Jill DeWit: Member pricing is even lower, I forgot. Steven Butala: Jill and I, we’re not here to sales pitch anything, but I will tell you this, being a member of our group, on you’re first two mailers, it’s gonna pay for itself. Steven Butala: Don’t spend a lot of money on mail is my point. Steven Butala: And data G’s. Jill DeWit: Right, and never hand write the letter. Steven Butala: We charge 10 cents a line item. Jill DeWit: Of ownership data. Steven Butala: For owner data, for realtor data. If you walk in off the street, and buy data from RealQuest, it’s like 45 cents. Jill DeWit: I don’t even know what it is, I think it’s, I’ve seen higher numbers. Steven Butala: It does not make, it makes sense to be a member if you’re sending out offers consistently. Jill DeWit: Right. [crosstalk 00:18:00] I want to save these people, ’cause I just caught wind of it. I don’t think they even know. They think that their excited, that they’re not doing mail, and the 80 cents is good, I’m like 80 cents is not good. Steven Butala: This isn’t a profit center for us, LandAcademy,no we’re just spreading our love.